Introducing, our decadent NIGHT Face & Neck Cream. Your face will thank you! Targeted essential oils will help to Restore, Revitalize, Replenish, Reverse & Rejuvenate your tired & aging skin! 1 ounce of liquid gold! Ingredients: distilled water, organic aloe juice, organic apricot kernel oil, organic shea butter, organic grapeseed oil, organic avocado oil, organic argan oil, organic pomegranate seed oil, organic carrot seed oil, organic sea buckthorn oil, organic glycerin (soybean, maize & mustard), emulsifying wax (Cetostearyl Alcohol & Sorbitan Ester), Leuconostoc Ferment Filtrate (Kimchi Seaweed), organic essential oils of frankincense, myrrh, sandalwood & helichrysum. Good for nine months from date of purchase. I love how my skin glows the following morning! It is one of the very few facial products that actually does not cause acne to worsen and it smells good. The Best Cream, I have ever worn on my face! I apply to neck too. Face will look and feel plumper! I have been fighting cystic acne for a year on my face & neck. I had tried many products & product combos to help ease the pain & look of this acne but to no avail. My guide recommended this & I am shocked. I have been using it about 3 months & my acne has cleared up to almost nothing. And better than that I am getting compliments on my skin again! People are asking what am I doing cause my skin looks amazing! This is definitely worth it & I am so happy she recommended it! I use this moisturizer at night, the Flawless Face SPF moisturizer during the day as well as the Flawless Face cleanser. I've noticed an improvement with not only my acne but also my rosescea after I started regularly using the Flawless Face line. While it's one of the pricier items, it's well worth it and it will last quite awhile. I have been searching for a good moisturizer for a long time and I am just blown away at how well this works. I've been using the cream for a few weeks now and can see the difference in my skin. It definitely tightens up my skin and my skin looks healthier. I've also been using it on my neck. I really like it so far. It's not greasy or sticky and my skin looks noticeably more hydrated and smooth when I wake up." The Flawless Face PM is the best night cream I have ever used. You only need a tiny bit (this jar will last forever) and skin instantly feels softer, smoother and revitalized! Super hydrating and smells fantastic! Fountian Of Youth In a Jar!! I am so impressed with this product! I use it on my forehead and crow's feet lines. It is thick but my skin eats it up! Not greasy or over oily. After just a few days my skin is much softer and visibly looks healthier! It's a large jar and will last quite some time! A little goes a long way. I would highly recommend this product! So far I've been using off and on with the rest of the flawless face line and I love it! Smells great and love the tightening feeling it gives. Will continue to use. My face is screaming: THANK YOU! At 37 I was starting to see more fine "smile" wrinkles around my eyes, and more neck wrinkles that I just couldn't ignore anymore. I'm not lying when I share that the very 1st time I put the PM Cream on, I felt it tightening my skin. I mentioned this to a few others & they said the same thing. And there is good reason for that: the oils in this recipe are the very best of the very best available. Each ingredient comes together to make this a rich, buttery smooth, fabulous, anti-aging cream. I've been using this once-twice/day for just shy of a month now, and I absolutely can tell my smile wrinkles around my eyes are diminishing, as well as those on my neck. And my skin feels so soft, smooth & nourished! I'm so thankful this product came into my life at this time. I'm confident my skin is thanking me for it, and will be in the coming decades. 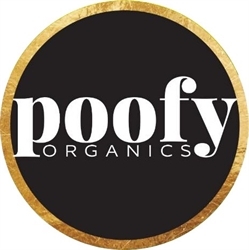 There are a lot of Poofy Organics products I love, but this one is a new favorite! Flawless PM is thick, super absorbent and non greasy! It works so well on my acne prone skin! This one jar will last super long! This stuff is impressive. After applying, I can visibly see improvements in my skin. I use it on my forehead, neck, and tips of hands almost nightly and have seen improvements in just a couple of weeks. One jar will last me a LONG time. Goes on smooth and is not greasy at all.